A short walk from the White House, the steps leading up to a neoclassical building where Robin Williams once performed spill over with teenagers in bright yellow and blue T-shirts. Using screwdrivers and wire, they are feverishly fixing their robots. 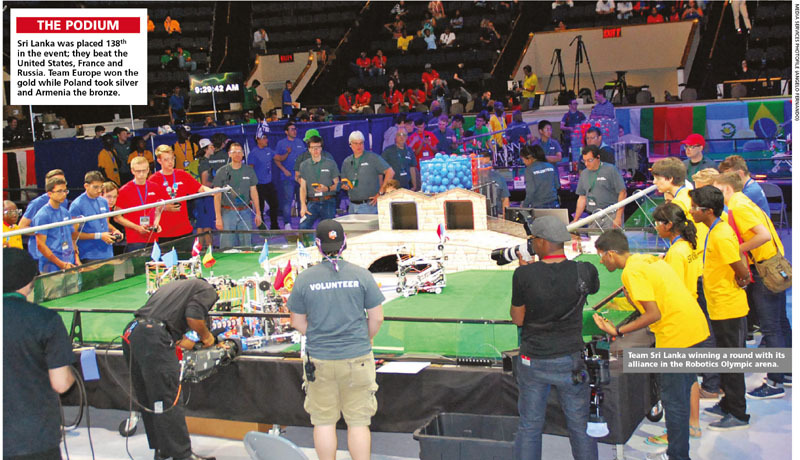 It’s only 15 minutes before Round 1 of the two-day competition held in July – a global event drawing 163 teams from 157 countries. The humidity in Washington D.C. hovers around 90 percent and Team Sri Lanka’s four students are sweating bullets. Huddled in a basement, and parked between Senegal and Sudan, their 20-wheel steel robot needs some repair work. Published in the Sept issue of LMD Magazine.